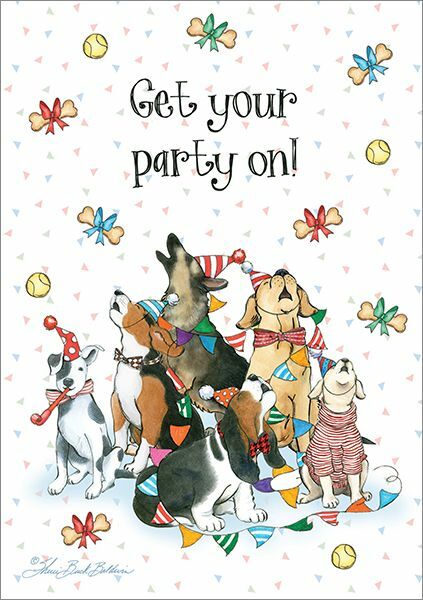 Get the party started and send it over with these excited pups! Perfect for any dog lover on your list. Front: Get your party on!